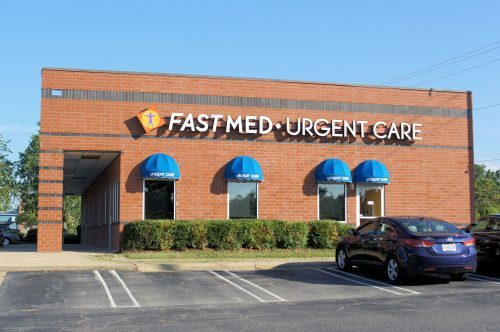 At FastMed our Team Leaders supervise the daily operations of their clinic, train new and existing front and back office team members and ensure clinical competence of team members with FastMed policies and procedures and State and Federal regulatory compliance. Team Leaders also ensure that patients are checked in quickly and that the clinic runs smoothly. Three recent year’s previous back office experience in a medical office, urgent care or emergency department, Supervision of medical staff. Do you have a High School diploma or equivalent education? Do you have 3 years of medical office, urgent care or emergency care team supervision/leadership experience? Are you healthcare professional levle CPR certified? On Highway 70 in the Clayton Village Shopping Center, across the street from Clayton High School.